Get the experience of a large company and the attention that you deserve. ​We offer near-shore outsourcing with inbound and outbound capabilities, a neutral time zone, professionally trained agents, real-world experience, and the complete support of our Executive Team. We offer small and mid-sized businesses the same high-quality inbound and outbound call center solutions that the big names enjoy. But, unlike at the big centers, you’ll never feel lost with us. In this ever-evolving industry it is important to be flexible and adaptable to advances in technology, changes in legal regulations, and the needs of consumers. ​We ensure compliance with all industry regulations including as FDCPA, HIPAA, TCPA, and CFPB through regular scheduled monitoring and auditing. C4 Global Solutions strives to maintain our clients' brand image and valued reputation. We work tirelessly to maintain our record of high-quality performance on every account. C4 Global Solutions is the cost-effective answer to expanding your company’s customer service experience. Our experienced agents have the “soft touch” required by all of our clients. C4 Global Solutions uses surveys, interviews, and observation to conduct a comprehensive service audit. C4 Global Solutions will identify the technology, training, and processes needed to take your service team to the next level. C4 Global Solutions monitors Key Performance Indicators at 1-week intervals, adjusting strategies as needed. Jamaica is one of the only countries in the Caribbean and Latin America where English is the primary language. This gives Jamaica a huge advantage against other call centers in the region. Jamaica enjoys an abundance of highly educated, motivated, English-speaking talent. The country of Jamaica thrives on its reputation of being one of the most desired tourist attractions in the world. The Jamaican people’s ability to acclimate to the U.S. culture is a huge advantage in servicing and communicating with the American people. This is a very important benefit to our clients and their customers. Jamaica is one of the few countries in the Caribbean and Latin America where the quality of employee continues to improve yet wages have remained relatively stationary. Many US states are considering raising the minimum wage to which will greatly impact bottom lines of the ARM/BPO companies. Our clients enjoy spending time in our sites and cultivating relationships with the agents that interact with their customers. The ability to travel to Jamaica, directly, from most major, US cities is a huge convenience for our clients. Jamaica is a mere 100-minute flight from Miami and most U.S. carriers offer multiple fights per day. No need to spend days traveling to and from other destinations on the other side of the globe. 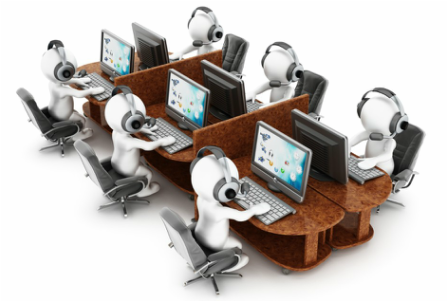 The principals of C4 Global Solutions have been operating call centers in Jamaica since 1999. ​Through their extensive years of operating on the island, the C4 team has identified an extensive pool of top agents, management, and other professional positions..
C4’s approach to partnering with clients is to duplicate the processes, techniques and approaches of their internal teams. 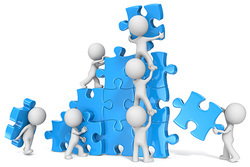 We view our relationship as an extension of our client, not just another outsourcer. We welcome our clients to assist us in developing training, and managing our team so that the customer experience is always positive and consistent. Our industry has changed dramatically over the past 5 years and Compliance is a buzz word that has entrenched the ARM/BPO sectors. C4 is 100% committed to adhering to the new playing field that has impacted each bank, retailer, and lender across the industry. The cost in the U.S. to maintain new departments such as Quality Assurance, Compliance, and other support teams has significantly impacted the bottom line of these businesses. Partnering with C4 can increase your ability to stay compliant at a significantly lower cost. Mr. Cappa started in the ARM industry in 1988 as an entry-level, collection agent. Over the next 20 years, Mr. Cappa rose through the ranks and in 2003 joined NARS as Executive Vice President. While partnering with Mr. Chris Buehrle, the pair grew NARS from 100 employees to over 3,500 in 7 sites world-wide. After being acquired in 2009 by a private equity firm, Mr. Cappa was promoted to Chief Operating Officer and became a shareholder of the company. In addition, Mr. Cappa was asked to serve as a member of the Board of Directors. Mr. Cappa’s journey through the ARM/BPO industry has given him unique insight into each position within an ARM/BPO organization. Having worked in almost every position he currently manages, he has had a rare ability to motivate, develop, and partner with the people surrounding him and making his team strive for excellence. Chris Buehrle began his success in 1993 as the founder of National Asset Recovery Services (NARS). Over the next 10 years, his team helped expand the operations to service a wide variety of clients, sites, and customer service needs.